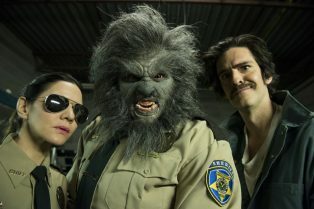 Watch the Another Wolfcop Trailer Now! 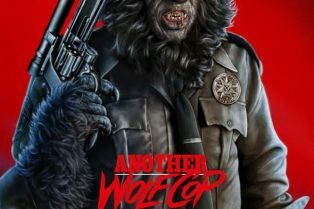 Long Paw of the Law: Wolfcop on DVD & Bl..
One Way Static to Release WolfCop LP & C..
WolfCop Finds Distributor, Will Now Howl in the U.S.
WolfCop – that drunk, surly man of the law who has been howling in Canadian theaters and on the film festival circuit – has officially found a U.S. distributor. Image Entertainment has acquired the rights to the action-comedy. You can read Ryan Larson’s review of it here. Written and directed by Lowell Dean, the film stars Leo Fafard, Amy Matysio, Aidan Devine, Jesse Moss, Sarah Lind, Jonathan Cherry and Corrine Conley. Stay tuned for release details. The minute I saw the trailer for WolfCop, I was overly excited. It just looked like something so fun and such a classic throwback to old ’80s movies. It seemed over the top, cheeky, and a blast. And guess what? 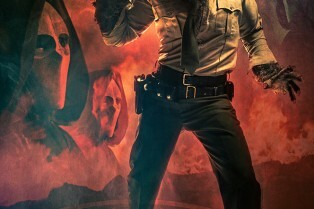 ?The social media gurus piloting the Twitter feed for WolfCop have unveiled two new character posters that introduced you to the cast of the film. WolfCop is currently at Cannes howling up some excitement with buyers there. In Canada, they get the film, directed by Lowell Dean, on June 6th. Here in the States? We’re still waiting on release news. WolfCop has blown up in popularity over the last month, eh? It garnered the interest of mainstream rag of Entertainment Weekly, so that’s something. Pity we still don’t know what the U.S. release plans are. Hey, if you live along the Canadian border, maybe see if it’s worth driving up for. The film makes its Candaian premiere on June 6th. To hype that release, the team behind the film has begun to roll out a series of character posters. 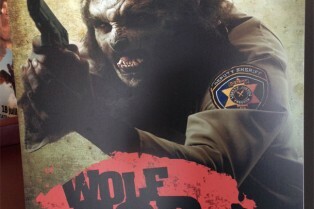 Bark Drunkenly at the Moon With This Official Trailer for WolfCop! WolfCop has been prowling the news feed of Shock Till You Drop since last fall and we’re now getting a look at the official trailer today! No, this isn’t that promo that’s been on the web. This is the real deal touting the film’s forthcoming summer release. And my oh my does it look ridiculous in all the right ways. The Lowell Dean-directed film is hitting Canadian theaters on June 6th. A “worldwide” release is expected this September. ?From what I’m seeing, a lot of you are getting excited for Wolfcop, a film that promises action and lycanthrope-driven thrills. A bit ago, we offered you a look at the poster, now we’re receiving the first images that present a full view of the aponymous man of the law. The Lowell Dean-directed film is hitting Canadian theaters on June 6th. Leo Fafard, Amy Matysio, Jonathan Cherry and Sarah Lind star. ?That poster artist who goes by the moniker “The Dude Designs” has cooked up a new piece of work. 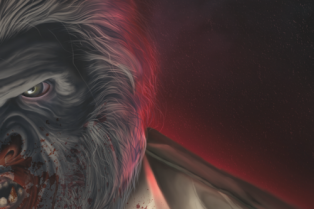 This time it’s for WolfCop, the indie horror-actioner we’ve been tracking for some time now. Out of Fantasia last year, Shock picked up on an indie action-horror hybrid called Wolf Cop that had found financing. 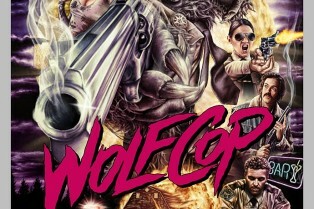 Here we are many, many, many months later and it appears Wolf Cop is going to tear into select Canadian theaters beginning June 6th. No word yet as to when the rest of us here in the U.S. will see it. The news of the Canadian release only recently broke the news via the film’s Facebook page. One the many projects I was introduced to while at Fantasia in Montreal was WolfCop, the latest film from 13 Eerie director Lowell Dean. From what I was told, the picture secured financing – you can find the proof of concept trailer after the jump. The official synopsis goes like this: It’s not unusual for alcoholic cop Lou Garou to black out and wake up in unfamiliar surroundings, but lately things have taken a strange turn. Crime scenes seem oddly familiar. 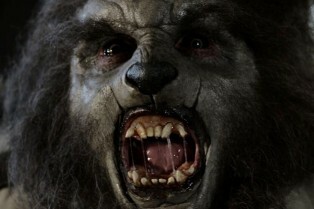 Lou’s senses are heightened, and when the full moon is out, he’s a rage-fueled werewolf. 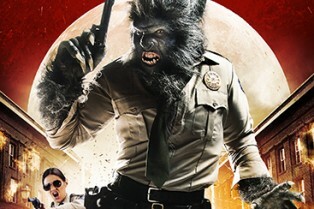 Wolfcop is one cop’s quest to become a better man… One transformation at a time.